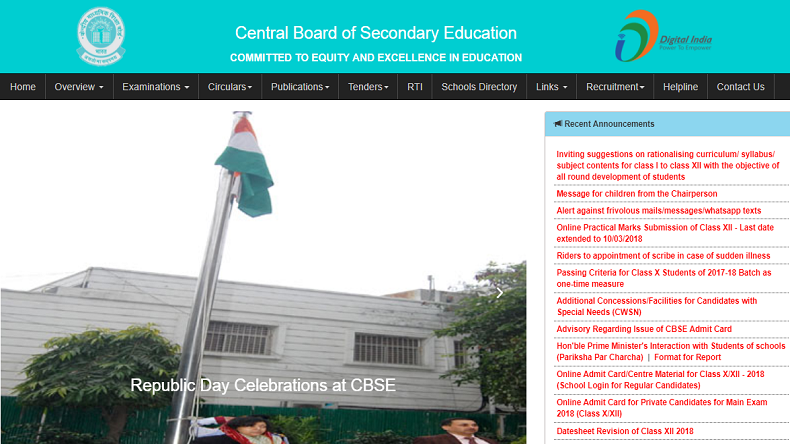 Central Board of Secondary Education (CBSE) has issued a clarification over the exam paper leak out allegations. CBSE issues clarification over question paper leak allegations says there has been no leakage. However, a FIR has been logged in relations to the matter and probe will be conducted. However, Students are alleging paper leak rumour was going on before. Education Minister of Delhi Manish Sisodia has also asked officers of Directorate of Education to investigate and lodge a complaint. Central Board of Secondary Education (CBSE) has issued a clarification over the exam paper leak out allegations. In reference to the matter, the board official said, “There has been no leakage of question paper. All the seals have been found intact at all the exam centres.” However, a FIR has been logged in relations to the matter and probe will be conducted. However, Students are alleging paper leak rumour was going on before. Some were offered the paper in return of an amount of 25000. “During the process of the exam, however, at the local level, some miscreants have tried to play mischief by circulating messages through WhatsApp & social media sites to disturb the sanctity of examinations. CBSE has decided to take strict action against such activities. FIR is being lodged,” quotes CBSE tweet. This is with reference to the alleged leakage of the CBSE Class XII Accountancy Paper conducted today. There has been no leakage of the question paper. All the seals have been found intact at all the Exam centres. During the process of Examination, however, at the local level, some miscreants have tried to play mischief by circulating messages through WhatsApp and other social media to disturb the sanctity of examinations. CBSE has decided to take strict action against such activities. FIR is being lodged by CBSE today. Education Minister of Delhi Manish Sisodia has also asked officers of Directorate of Education to investigate and lodge complaint with CBSE. Swift action must be taken, so that hard-working students don’t suffer due to the negligence of CBSE.